Guns or Knives’ Samsung campaign ‘A Song for the City’ has been awarded the Grand Prix at the 2018 IMC European Awards alongside seven other awards. Four for ‘A Song for the City’ and an additional three awards for its Click&Go ‘Click & Gone’ campaign. The winning campaign by Guns or Knives was created to promote the new Samsung Galaxy Note8. ‘A Song for the City’ played with environment, sound, and technology, by turning Dublin’s harp-inspired Samuel Beckett Bridge into a playable harp. Guns or Knives teamed up with developers to create software that would make the bridge ‘playable’ using the Note8’s interface and an electric harp. 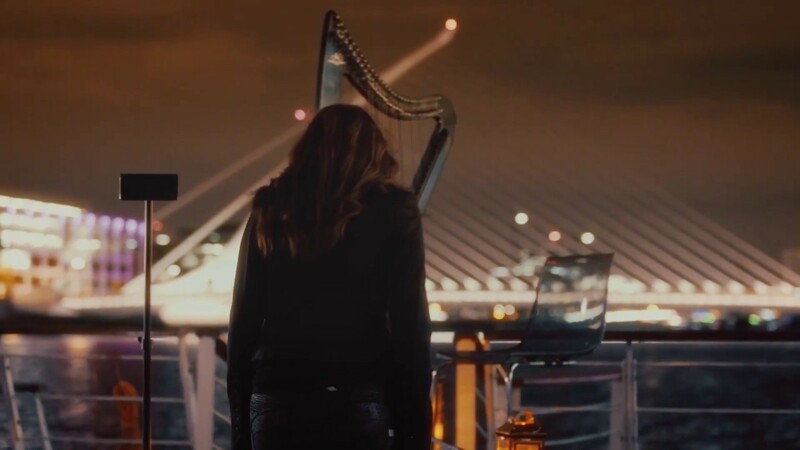 Harpist Aisling Ennis was enlisted by the agency to compose an original piece for a live performance ‘using’ the bridge, which was streamed on Samsung Ireland’s Facebook Live in September 2017. The recorded broadcast has been viewed over 100,000 times. A total of 63 winners, from 32 agencies in 7 different countries, were selected for this year’s awards. Among the winning nations, Ireland and the Czech Republic led the pack with 17 awards each.